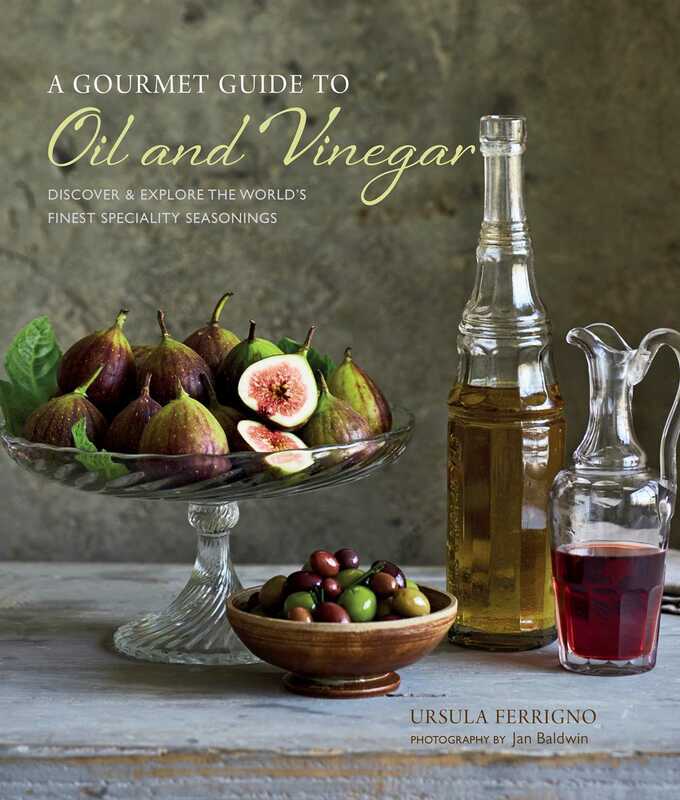 This sumptuously illustrated book provides the reader with an in-depth study of speciality oils and vinegars and offers up recipes and tips for how to season and cook with them. Along the dry, rocky coast of the Mediterranean Sea, olive orchards and vineyards stretch inland from Spain, France, Italy, Greece, Turkey and North Africa. Olive cultivation is not just limited to the ‘Old World’, though. Olive groves also thrive in the warmer climates of Northern California, South Africa, Mexico and New Zealand’s North Island. Colors range from green to golden yellow, the aromas are nearly as varied and complex as wine. Just as with any ingredients in cooking, the flavors must complement each other, bring out the subtleties by layering with other notes of sweet, bitter, acid and salty flavorings. Nut oils, although less prevalent, also feature in Mediterranean and European cooking. These vary in hue from light browns of hazelnut and walnut to the distinctive green of pistachio oil. Alongside olive and other culinary oils, vinegar is a must-have. Derived from the fermentation of alcohol-based beverages, such as red and white wines, Sherry, Champagne, malt cider and grain alcohols, vinegars have been used for centuries to flavor and preserve foods. Specialty vinegars provide a wide range of flavors. Those that are wine-based may call out the grape varietals from which they are made, such as Pinot Noir or Merlot, and simple red and white wine vinegars are often infused with fresh herbs and fruits.